One system for security, trip logging and vehicle fleet management. The Mi50 stands for quality, speed and convenience. The Mi50 is included in the range by many car importers in Europe. The Mi50 is a complete system for vehicle security and vehicle fleet management. This system can be used to secure, track and trace your vehicle live. It can also be used for trip logging and driving style analysis. In short, everything you need for carefree and safe driving. The Mi50 stands for quality, speed and convenience. The Mi50 is included in the range by many car importers in the Netherlands for good reason. 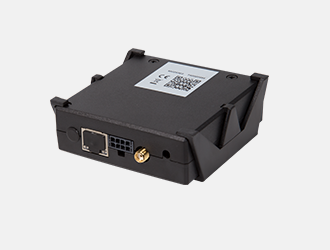 The Mi50 is a vehicle tracking system. With the Mi50 and MiBlock you comply with all official requirements, with automatic notifications with the movement of the vehicle/object without the ignition on, and automatic blocking in case of jamming detection. A link to the Emergency Dispatch Centre is also part of our services. Keeping mileage administration can be a time-consuming affair. But it is, however, a necessity. This is for example to avoid fines from the tax authorities. It is also needed for declaring mileage driven for business purposes. So it is good to have a reliable trip logging system in place. With a press on the button you can read all relevant data for the tax authorities on the Moving Intelligence platform. All details of each driven route, both for business and private purposes, are automatically registered for you. If you are managing a multiple of vehicles, you obviously want a full understanding of your vehicle fleet. With the Mi50 you can see who drove which car, when and where. You can also track the vehicles live. With a press of the button you clarify the position of all your vehicles with the Mi50, without this costing you time and all manner of telephone calls. The Mi50 also offers a driving style analysis of the driver. Everything is neatly registered by the system and displayed on the Moving Intelligence platform. You then have a good system to help you control maintenance costs and fuel consumption. If you as a business person also use your vehicle privately, it is handy if you have a summary of the kilometres driven for business and private purposes. It is necessary to know how many kilometres you have driven privately, even if your company car does not count for tax purposes. Knowing who has driven a certain car and when is always a challenge. The MiReader is your solution. Reporting of theft to the alarm center, with immediate notification of the police. G4S is our alarm center partner and can be reached 24/7. In the event of sabotage of the tracking system, you will be informed through the alarm center or by push notification via the MiApp. With MiSwitch, you can remotely activate and deactivate connected devices by setting the switch in the MiApp to on and off. In emergency situations, an alarm message can be sent to the alarm center using an emergency button located inside the vehicle.